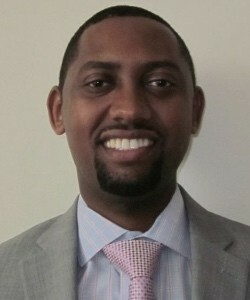 Solomon Assefa is currently the Director of IBM Research – Africa, the South Africa lab. Previously, he was the Director of Research Strategy & Growth Initiatives for Africa. In that role, he developed research strategies by identifying emerging trends, developing human capital, and enabling expansion of IBM Research in Africa. Solomon is a recipient of several awards including the Technical Accomplishment Award, Corporate Recognition Award, and Invention Achievement Awards from IBM. He is a frequent speaker at business events, international conferences, universities, and research institutions. He was named one of the World’s Top Young Innovators under 35 and received the TR35 awarded by MIT’s Technology Review (2011). Solomon was honored by the World Economic Forum as a Young Global Leader in 2013. He received a B.S. in Physics (2001), a B.S. in EECS (2001), a M.S. in EECS (2001) and a Ph.D. (2004) all from the Massachusetts Institute of Technology (MIT).